Director of the International Red Cross office in Gaza, Yves Daccord, said on Wednesday that the Gaza Strip is on edge of collapse due to severe electricity crisis. Currently, electricity is only four hours on in the Gaza Strip, because of policies imposed by Israel, Egypt and the Palestinian Authority, according to Days of Palestine. Speaking to Aljazeera.net, Daccord called for urgent international efforts to afford electricity to the Gaza Strip, where the lack of electricity touched the life of all residents. He warned the sewage and drinking and running water plants are directly affected by the severe lack of electricity in Gaza. Daccord refused to blame any party for the electricity crisis in Gaza. 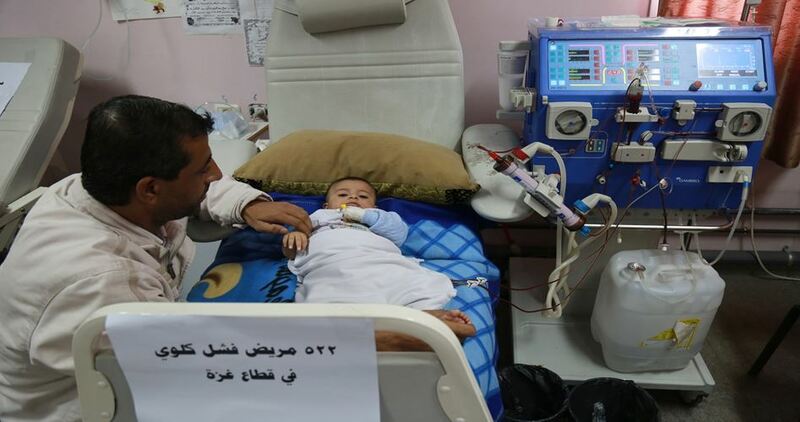 The Arab Doctors Union - Palestine Branch warned on Friday of serious consequences in the health situation in the Gaza Strip due to the current electricity and fuel crisis. The Union said in a statement that if the current crisis continues, serious repercussions will ensue in the health condition of hundreds of patients in the various hospital departments with only 4 hours of electricity a day instead of the 8-hour schedule in which power is supplied and cut in 8-hour intervals. The Union affirmed that the Gaza Strip has entered a new phase starting from 15th April 2017 as a result of the current electricity and fuel crisis, which will cause deterioration in the health services of hospitals and health centers needed by more than two million people in the besieged coastal enclave. 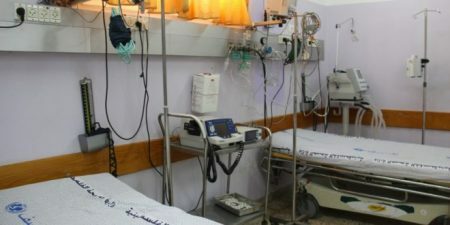 The Gaza hospitals need 450,000 liters of fuel per month in the normal situation to operate 87 generators, and each hour of power outage requires 2,000 liters of fuel for hospitals, the Union pointed out. It warned that the current crisis threatens the lives of 100 children in nurseries, 113 intensive care patients and 620 kidney failure patients including 29 children. 11 maternity rooms and 40 operation rooms are at the risk of being closed. It added that the continuation of the fuel crisis will lead to ruining 500 blood units and affect hundreds of sensitive drugs, laboratory materials and vaccinations stored in refrigerators as well as the emergency departments in hospitals. 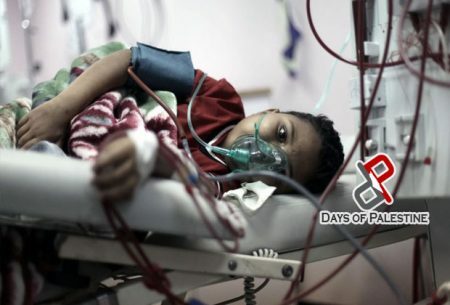 The Arab Doctors Union appealed to the international organizations and concerned parties to intervene urgently and immediately to provide the Gaza hospitals with the needed quantities of fuel to run generators. 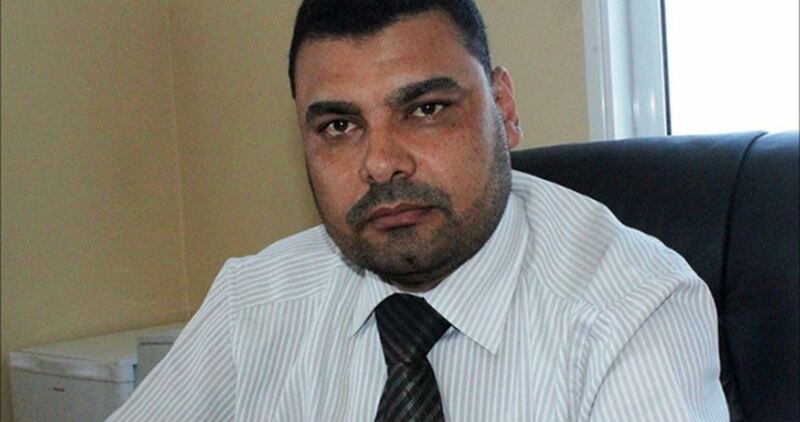 Head of the administrative board at al-Maqassid Hospital, Arafat al-Hadami, slammed the Israeli occupation authorities (IOA) for rescinding the working permits of Gazan medics. 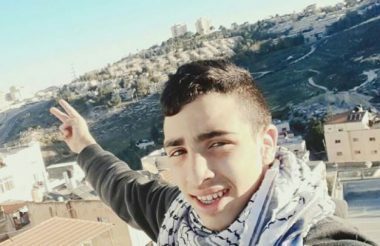 According to al-Hadami seven Gazan doctors have been banned from occupied Jerusalem, resulting in an acute shortage in pediatricians, practitioners, and cardiovascular medics. The doctor further sounded the alarm over the financial crisis endured by the hospital, whose debts have hit 80 million shekels so far. The Palestinian Doctors Syndicate accused Prime Minister Rami al-Hamdallah of ignoring the demands of doctors in the West Bank and procrastinating in the implementation of what was agreed upon in the dialogue sessions held recently. The syndicate announced its intention to wage a protest strike starting from Sunday until their demands were met. In a statement on Saturday, the syndicate said their demands include ensuring justice among doctors based on specialization. The government has been stalling in answering their demands, it highlighted. The syndicate announced that Health Ministry doctors in the first protest week will leave work after 12:00 noon on April 9, 11, and 13. 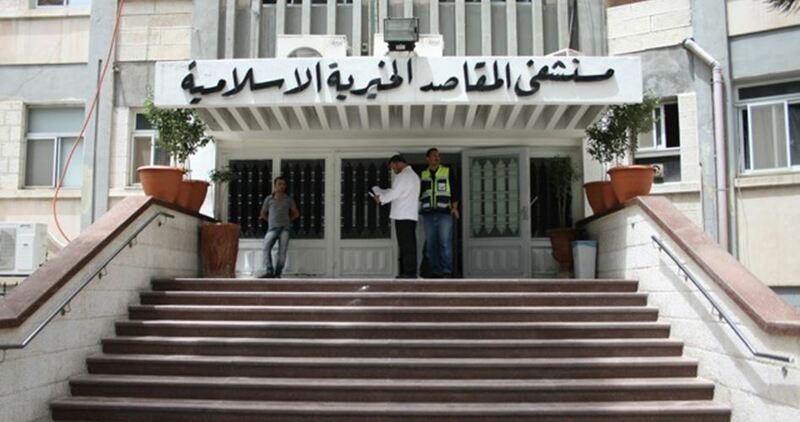 In the next week, doctors will leave their offices from 10:00 a.m. on April 18 and 20. While, in the third week, doctors, except for those working in emergency wards, will not head to work on April 23, 25 and 27, the statement underlined. 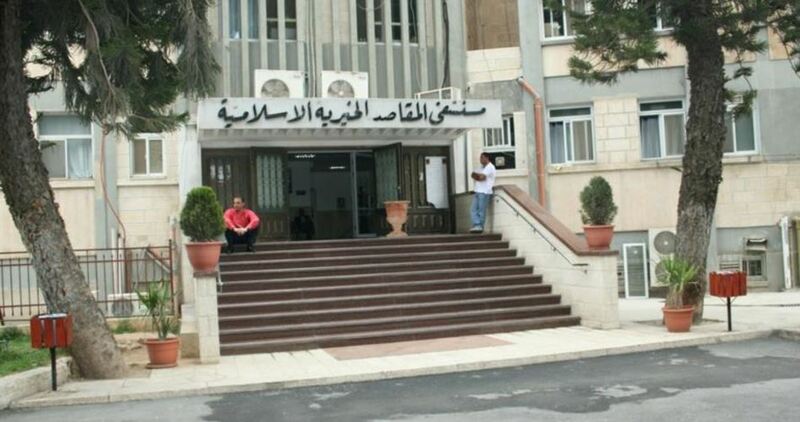 Walla Hebrew news website reported that Israeli Shin Bet has been banning for weeks Gazan doctors from entering Occupied Jerusalem for working in al-Makassed Islamic Charitable Society Hospital in Jerusalem. 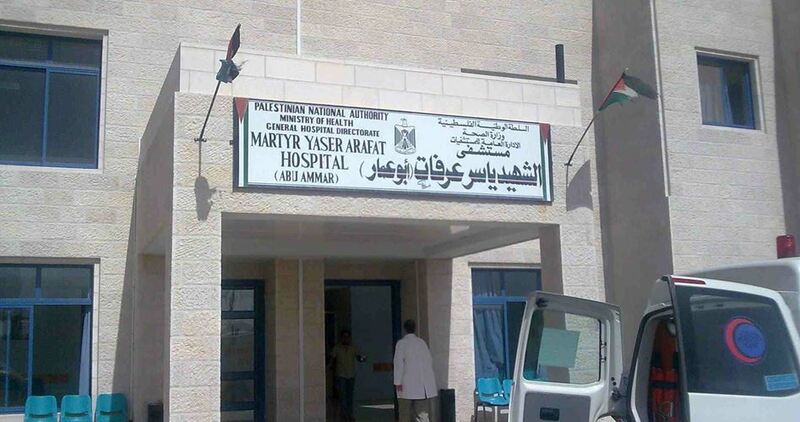 The hospital management received negative replies to applications for seven entry passes for doctors from Gaza to access al-Makassed hospital which lacks human resources especially specialized physicians. The eighth application has not been answered yet, the website pointed out. Among the banned staff were doctors, some of them work in the ICU Section, and nurses who have been working in the hospital for about 30 years. 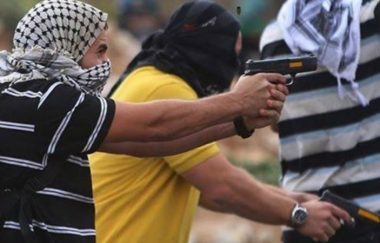 Ran Goldstein, Executive Director of Physicians for Human Rights, opined that preventing doctors from working in Occupied Jerusalem is a political matter that negatively impacts the health of the Palestinian people and has nothing to do with security. Palestinian Health Ministry in Gaza warned on Thursday of a new fuel shortage in its facilities in two months. It appealed to donor international and Arab institutions for urgent intervention in order to guarantee enough fuel amounts at hospitals and primary health centers. The spokesman of the Ministry, Ashraf al-Qudra, told the PIC reporter that his ministry complains of continuous shortage in fuel supplies for power generators. The Palestinian official said that the Ministry consumes 450,000 liters of fuel every month distributed over 13 hospitals including 3 grand medical compounds that use too much fuel when power cut offs exceed 8 hours a day. The besieged Gaza Strip experiences every now and then a power crisis that leave it with only 6 to 8 hours daily of power connection.